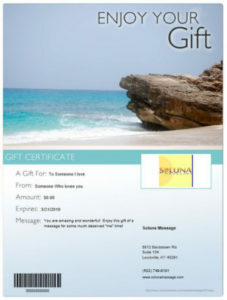 You can now purchase gift certificates online and print out right from the convenience of your home computer!. Just Click Here and follow the instructions to purchase and print out. It’s that simple.